Drive high-value services and quality results. Combine XMPie’s digital media personalization and web-to-print technologies with HP Indigo’s digital presses and production workflow. XMPie’s web-to-print solution, PersonalEffect® uStore®, supports both static, user-submitted documents and template-driven, variable documents, as well as a wide array of applications including direct mail, collaterals, labels, packaging and more. PersonalEffect uStore automates order acquisition and streamlines the workflow between the online storefront and HP Indigo presses so that service providers can serve their clients 24/7. Its JDF scheme has been certified by HP for both its HP SmartStream Production Pro print server and the HP SmartStream Production Center solutions. 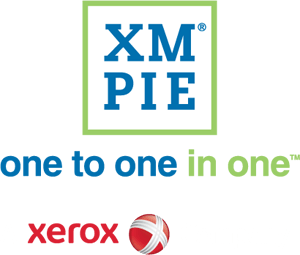 XMPie solutions are fully integrated with HP PrintOS. PrintOS is a print production operating system with a set of web and mobile apps that help you get more out of your HP presses, and simplify and automate your production. PrintOS can manage any number of jobs from submission to shipment, help you collaborate with partners and colleagues, and enable you to discover new opportunities for growth. Access the cloud-based PrintOS platform virtually anytime and anywhere. Orders placed on uStore communicate directly upon creation to PrintOS. Allows customization of information you want to send: Customer Info, Order Info, Files, Media Selection, and more. XMPie cloud interpretation service converts the uStore Order Details Information to PrintOS structured information and ensures constant compliance with the latest API version. Ideal for labels & packaging, enabling providers to efficiently process a high number of personalized packages.